Sellers & Newel Second-Hand Books opened on College Street, in the heart of Toronto's Little Italy, in November 2011. Flying in the face of advice from our online security experts, the store's name combines the surname of proprietor Peter Sellers with his mother's maiden name. 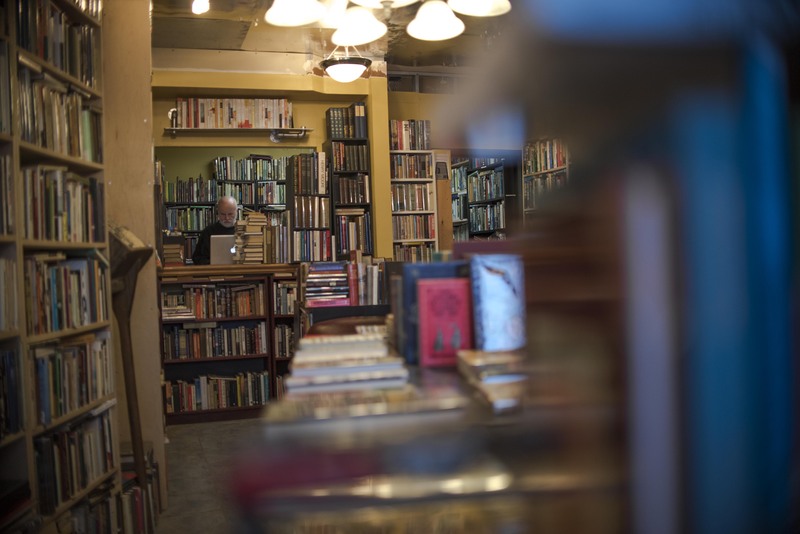 The shop is small but the stock is carefully selected, each book chosen and shelved by Sellers. The list of books in inventory is kept in his head and he usually knows what's in stock on any given day. If a book isn't in the store, it may be in the basement, in one of our two storage lockers, or within easy reach from another dealer in our network of contacts. We are happy to fill special requests for books of any value. Visit us in person at 672 College Street (between Grace and Beatrice Streets). Call us at 647-778-6345. Or contact us by email.